Instead of bringing in “fluffy, white dogs,” rescue groups should do more for local dogs “that are really in need,” said Dianne Sauve, the county’s director of animal care and control. “You are either dedicated to helping dogs in your community or you are dedicated to stocking your shelves with a product that sells quickly,” Sauve said. It is great to see so-called humane relocation becoming a mainstream news story. Us “animal people” can talk about this until we are blue in the face, but until it becomes a mainstream issue that the media, lawmakers, and casual pet owners/animal lovers are aware of and concerned about, it is going to be so much more talk than action. Here is to greater awareness and change leading to smarter and more ethical practices and policies! Selling cute, smaller dogs and puppies shipped in from out of the area is easy, but it does nothing to help local dogs find homes. 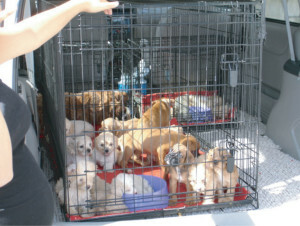 What happens when those well-meaning rescue groups or private shelters in our own community choose instead to import dogs and puppies to Palm Beach County? What message is being sent to would-be adopters? What happens when those at-risk at animal care and control are bypassed for animals that are flown in? The truth is often uncomfortable. Importing puppies and dogs into Palm Beach County while dogs in own shelter die, means that some groups are simply stocking their shelves with those dogs that are easily adoptable at a high fee. And while these importations generate lots of publicity and revenue for local shelters [and rescues], how does it benefit those dogs that are going to die here? I am challenging each rescue group that has signed onto Count Down to Zero to stop bringing dogs in from other regions, at least until we have reached a 90% save rate here in Palm Beach county. Very powerful statement! Huge kudos to Mayor Vana for recognizing this as a serious issue and being unafraid to speak out! Could dogs have been around a lot longer than we thought? A group of researchers discovered an ancient wolf bone and say its DNA suggests dogs diverged from wolves 27,000 to 40,000 years ago — not 11,000 to 16,000 years ago, as previous research has suggested. This is an interesting finding — not just because we love dogs and are fascinated by them (though that certainly helps), but the earlier date suggests dogs lived with humans during hunter-gatherer times, rather than after the advent of agriculture. Very cool read! 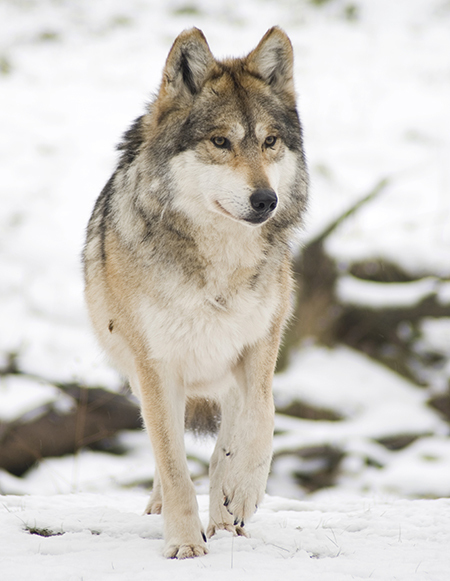 Did dogs diverge from wolves earlier than we thought? Read the report here: Ancient Wolf Genome Reveals an Early Divergence of Domestic Dog Ancestors and Admixture into High-Latitude Breeds.